More cocktail bars than ever before are offering alcohol-free drinks that are as interesting as their spirited counterparts. 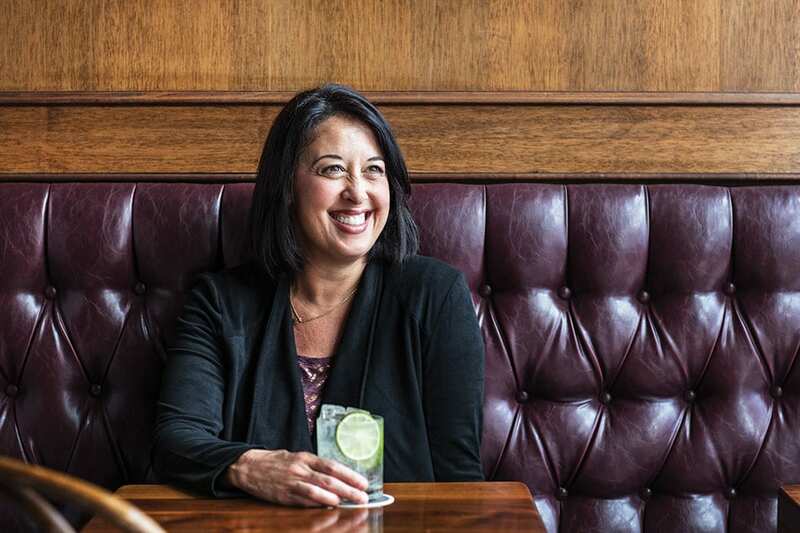 Julie Reiner, who has been offering creative alcohol-free mixed drinks since day one at Clover Club, says the key to making these drinks great at home is to treat the recipe like you would a traditional cocktail, always considering balance and presentation. “A lot of times, people want to put a bunch of juices together and not use any citrus. Pineapple, orange and cranberry—that’s just a mixed juice,” she says. If you’re feeling ambitious and want to create a recipe from scratch, start with a base citrus, like lime, lemon or grapefruit juice. Then, pick a complementary syrup, like strawberry, thyme (or strawberry-thyme!) or saffron. Reiner uses a 1:1 ratio of simple syrup, citrus and water to achieve proper balance. Fresh herbs or muddled fruit can also take the place of a flavored syrup (in which case just use simple syrup for sweetness). If the drink tastes too sugary, try topping it with club soda or tonic water. At Leyenda, Reiner makes a ginger-mint-lemon drink that’s become a favorite among her customers. “Just muddle mint into ginger syrup and add 1:1 fresh lemon and water,” she says. “It’s so good. You have the sharpness of the ginger, a little fresh mint flavor, and the backbone of the whole thing is a lemonade.” She recommends cucumber, mint and lime as another excellent combination that’s not often found outside the cocktail realm. Coffee can be a popular ingredient in zero-proof drinks, like the Tart Nut from Madcap Coffee in Grand Rapids and The World in All It’s Youth from Pinewood Social in Nashville (more on the trend here). Shrubs add a tangy element to drinks like the World’s Collide and this Apricot Shrub Soda, and tea can also be brewed into recipes. “Tea offers a world of flavors that you can’t get in juices or fruits,” Reiner says. Brew a strong tea and pair it with soda, citrus and other ingredients, like Reiner does with jasmine green tea, which she pairs with peach nectar and fresh lime, or how Oak on Fourteenth in Boulder makes the Tea Time cocktail with green tea, lavender syrup, lemon juice and ginger beer. The Tuscan Iced Tea from American Tea Room in Los Angeles uses rooibos as a base. “We had a cocktail on our menu using a mint tea syrup that was very versatile,” Reiner says, adding that to make a tea syrup, you simply brew a strong tea and add equal parts sugar in the same way you would make simple syrup. Not comfortable winging it? Try this Chamomile Tea Syrup with fresh lemon juice and club soda to start. Many bars incorporate bitters into their booze-free drinks, though since bitters are actually made with alcohol, that option isn’t always right for everyone. “Bitters can help an alcohol-free drink tremendously,” says Reiner. ” As I said before, the bitter element tricks the brain into believing that you’re actually having a cocktail.” Try celery bitters with tonic water or molé bitters in cola for simple pairings. In the Hendricks “Cocktail” from Five Watt Coffee in Minneapolis, grapefruit bitters help balance cold-press coffee, juniper-basil syrup and half-and-half, and orange bitters complete the alcohol-free version of the New England Buck from Craigie on Main. Finally, don’t skimp on the presentation. The best zero-proof drinks mimic the experience of drinking a real cocktail, so put plenty of thought into your glass and garnish. “We drink with our eyes first, so make sure it looks like a cocktail,” Reiner says. Old Tom gin brings a malty edge to this twist on the classic.